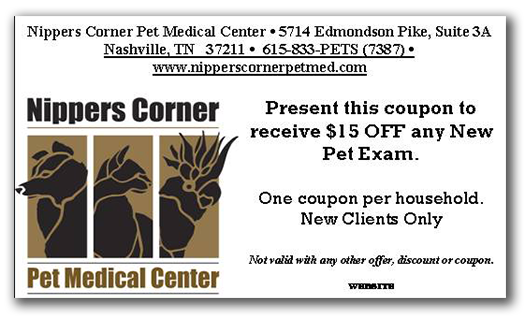 Nippers Corner Pet Medical Center requires full payment at the time services are rendered. We value your recommendation of us to other Nashville pet owners. Each new client referral is a $25 credit on your account! *Nippers Corner Pet Medical Center is happy to work with local animal rescue groups. Pre-approval is required to qualify for the rescue group discounts, please call us for more information. 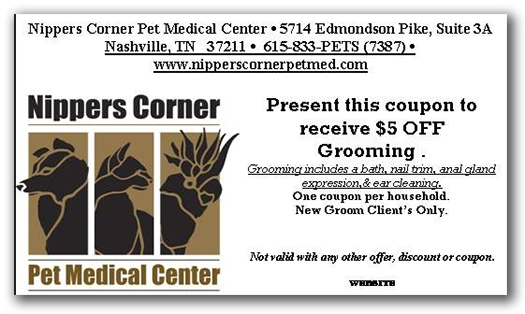 ​​​​​​​Nippers Corner Pet Medical Center is happy to work with local animal rescue groups. Pre-approval is required to qualify for the rescue group discounts, please call us for more information.